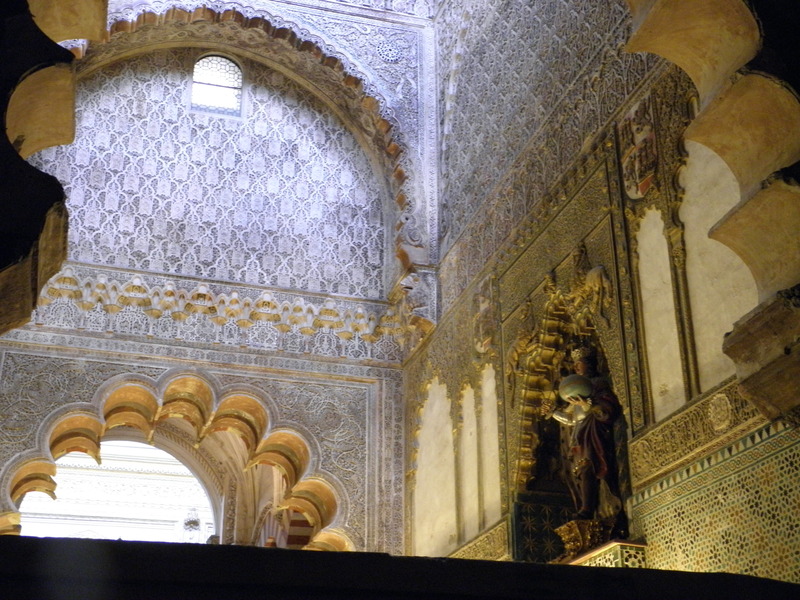 I cannot move to sharing other snippets from our rihla, without posting on the Mezquita de Cordoba. I had read and heard a great deal about it, and for me, it was a dream come true to be able to stand inside and wander through that magnificent pattern of palm-tree columns. 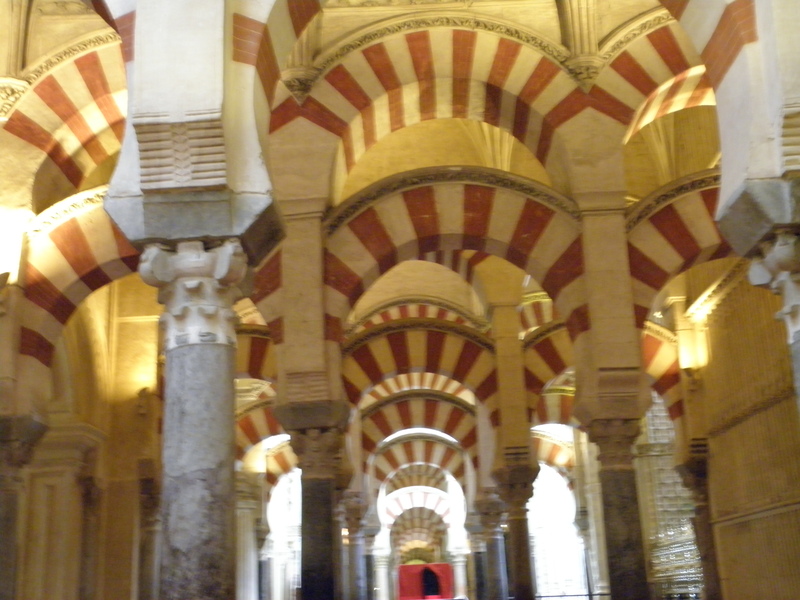 ‘La mezquita’ as the locals still chose to call it, is the Cathedral of Cordoba. Recently (since a few years ago), signage has begun to read ‘Mezquita-Cathedral’, though for centuries since it was turned into a cathedral, it was still simply called ‘la mezquita’. The locals would say “I’m going to the mezquita for mass”! 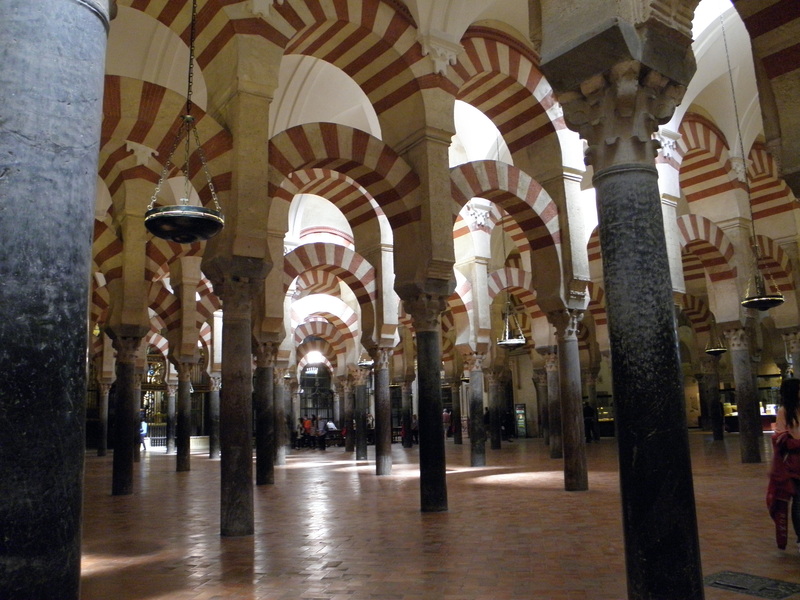 It used to be the ‘jamia masjid of Cordoba’ (the grand mosque of Cordoba. The word ‘jamia’ comes from ‘jumu’ah’ or Friday..as related in previous posts..the word for Friday comes from the word for gathering as it is when Muslims gather for a communal prayer. Therefore the largest mosque in a city is usually called the ‘jamia’ mosque. 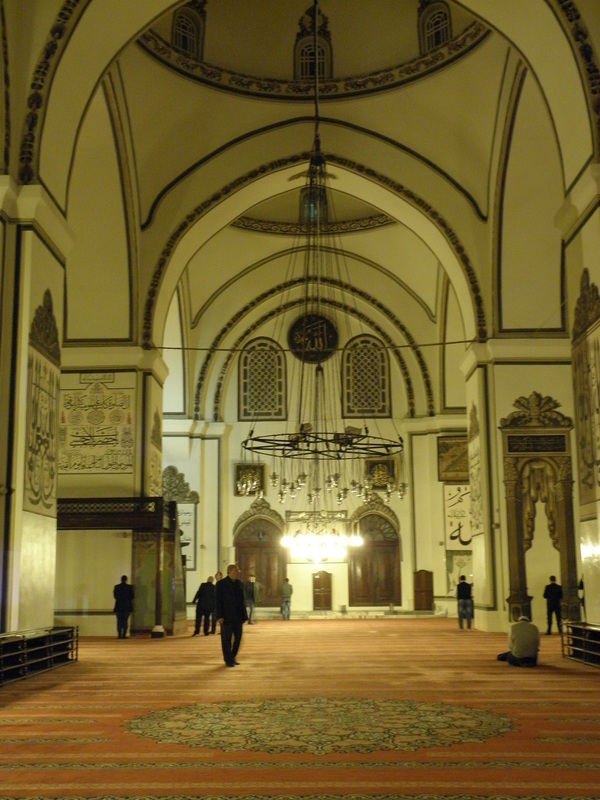 It often tends also to be the grandest, and so in English a more appropriate translation has become ‘grand mosque’, though perhaps ‘main mosque’ is more apt). The mosque, in the style of the great Umayyad mosqe of Damascus (God grant it is safe, and this needy abd [=slave] the chance one day to visit!] was built on where there used to be a Visigothic Catholic Church (from ~600 CE to 800 CE) that used to be an ancient Roman temple. I am not sure if any part of the original Church remains, but you can see some of the foundation of the ancient Roman temple. Perhaps the temple was used as a Church ? I do not know. What I do know, and I did some research on this, is that AbdurRahman-I who was the first caliph of Al-Andalucia bought the property for a huge sum of money (~ 100,000 dirhams possibly) from the Catholic church and then built his mosque. He bought it after a few years of sharing the property (paying rent of course) and thereafter upon needing more space for the growing Muslim population. 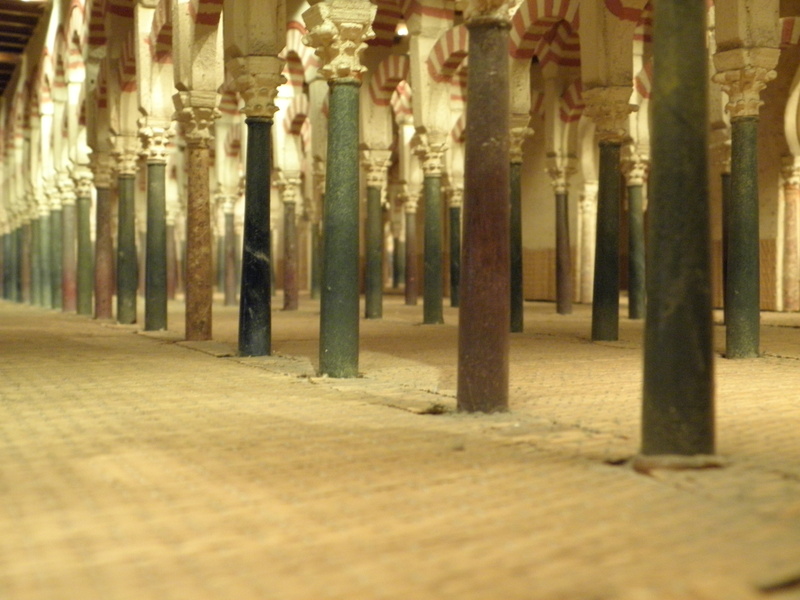 The original was expanded by successive caliphs to become the huge complex of close to 1000 pilars. 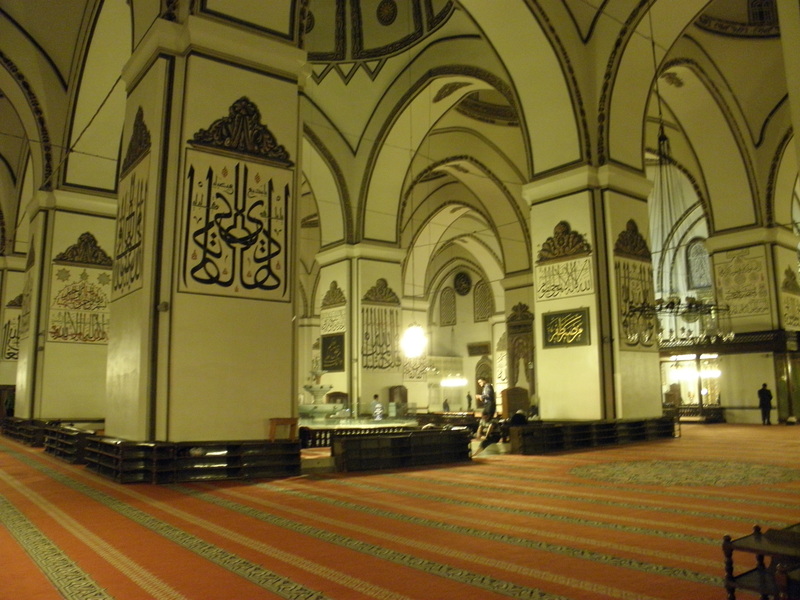 Mosques in the Muslim world have always been more than places of worship. It’s the ‘family hang-out’, the ‘classroom and university’. Actually in the Islamic Golden Age, great teachers were born out of the mosque-circles. Usually a speaker/teacher would lean on a pillar after the salah (=prescribed 5 times a day ritual worship, I’ve described the term elsewhere) and give a talk. People would sit to listen, if the talk is good, more people join…and so a teacher’s fame spreads. Even today the mosque in Al-Azhar in Cairo (the second oldest University in the world) serves the same purpose. If you go there, you will see these circles by a pillar. In those days anyone on the street could wander in and sit down to listen. Even today you can do this, very few Muslims do have the interest to however. In them days, people would come in droves and soon a speaker would be addressing hundreds. 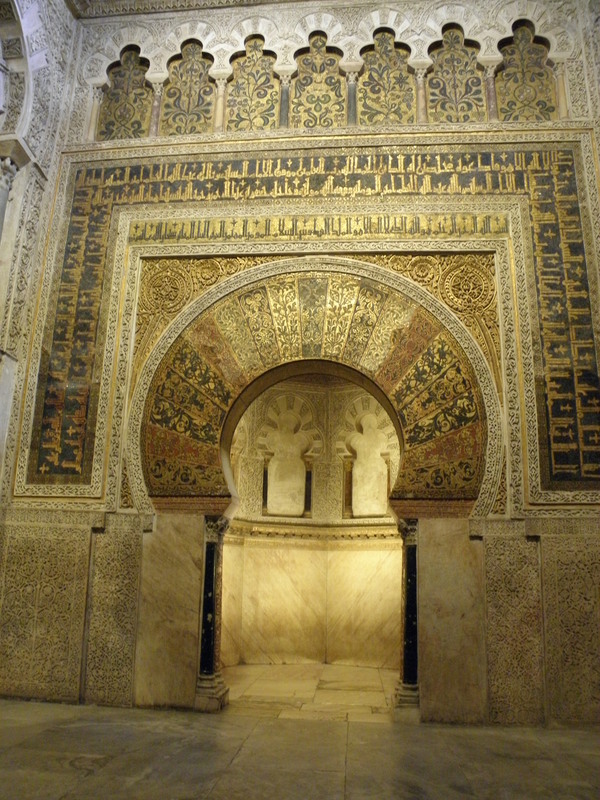 The pillars in the Mezquita de Cordoba have this double arch structure – so evocative of the branches of a date-palm. Others have said more eloquent things about it, so I will limit myself here. Only to add, an engineered effect of all the pillars is the feeling one gets of eternity….of a seemingly never-ending path of tall trees. 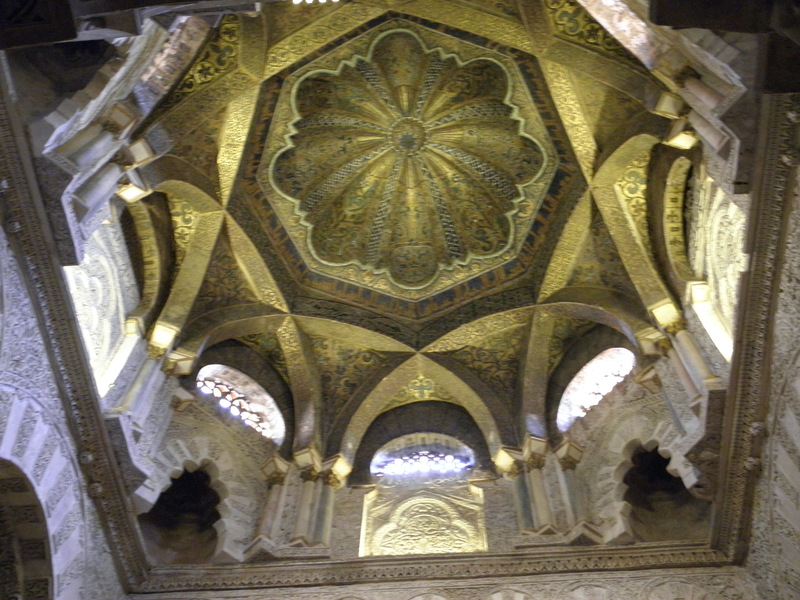 This is very typical of Islamic art – you will often find repeated patterns, some intricate and elaborate. 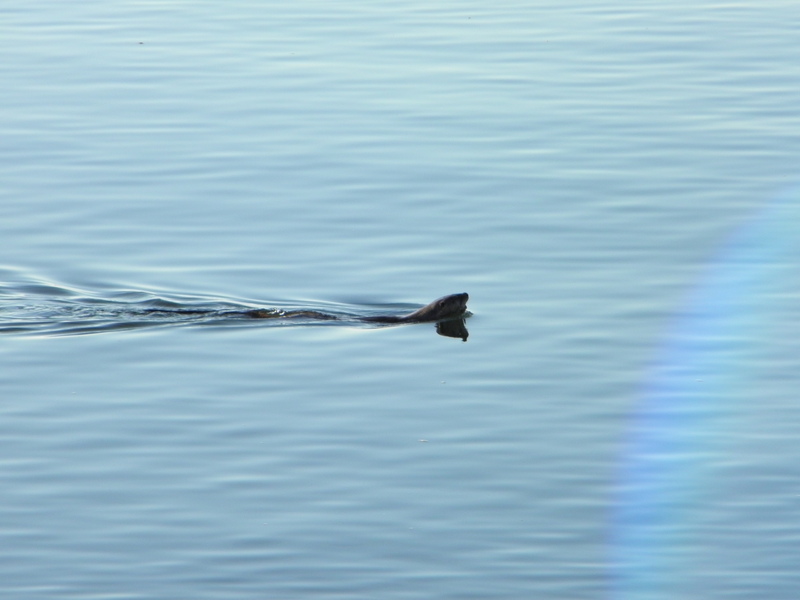 Often on nature themes. A reminder of the eternal life to come, of paradise, which was our home, and of God the almighty, who is limitless and eternal. Eternal is a poor word according to Muslim theologians, as it still talks upon the frame-work of time. And we believe God, is beyond time, being The Creator, and the Creator is not like the creation. 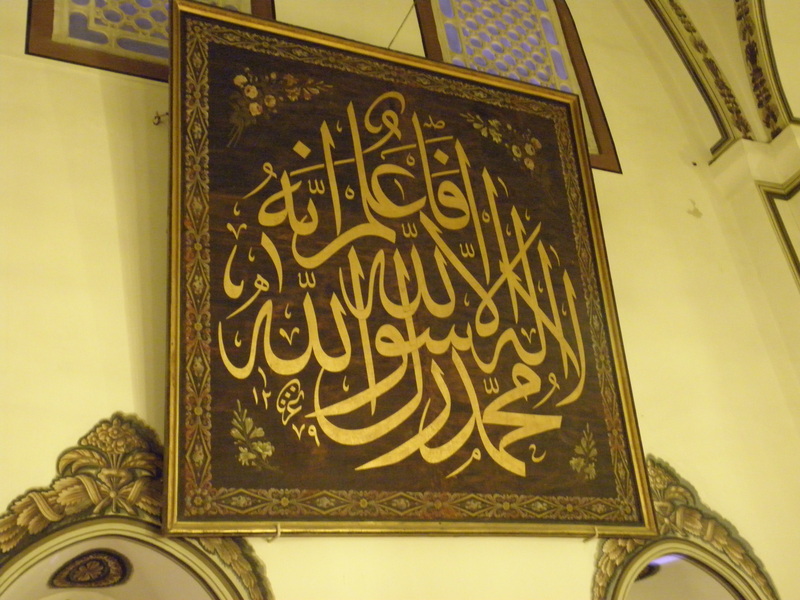 ” …laisaka mithlihi shai =There is nothing like unto Him” (Quran 42:11). So we say, to try to capture this idea better; God is beginninglessly eternal and will be forever, endlessly (the Arabic captures this better). 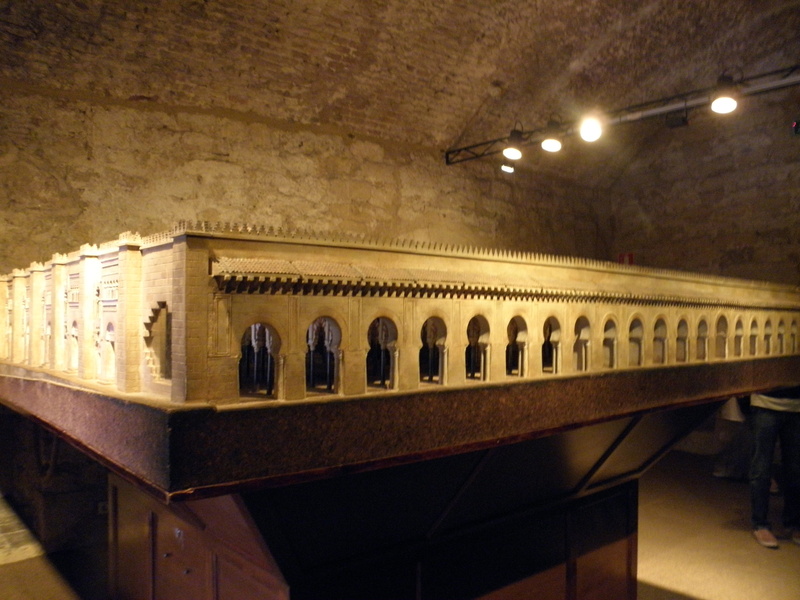 After the reconqista, the mosque was converted to a church. 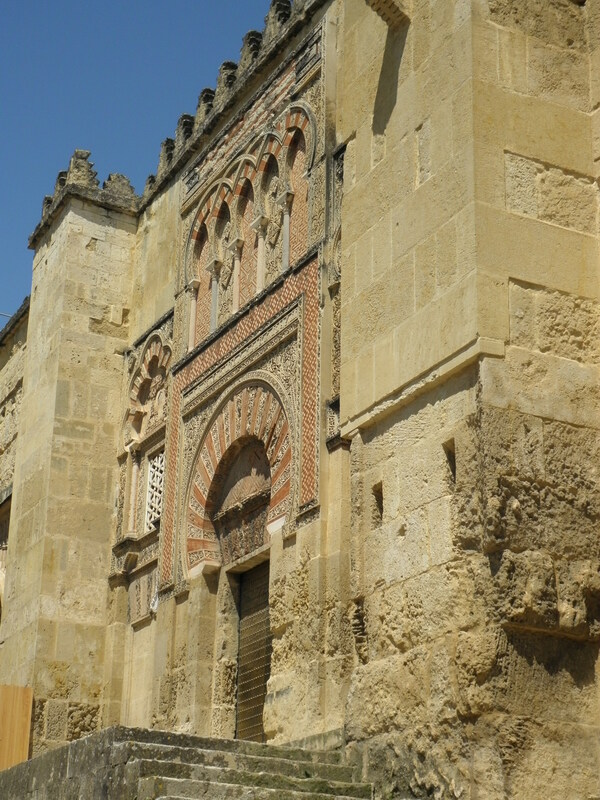 It would have been torn down (hence why none of the Jamia masajid of other Andalucian cities remain) except the local people were so fond of it, they protested. The Catholic authorities could not therefore, and instead built a cathedral in the middle of it. The cathedral itself is quite grand. But I must be honest – the two art-forms just do not go well together. The overall effect is rather strange and unnerving. I found it very jarring to my artistic sensibilities. I was not the only one, apparently the pope of the time, when he came to visit it having being invited to see the accomplishment by the local Catholics on completion, is reported to have said something along the same lines. However it is a good thing this was done, as it is probably what saved the structure from destruction, particularly during the Inquisition. Wa Allah a’lam (=and God knows best)! Here are pictures. Please read the captions. 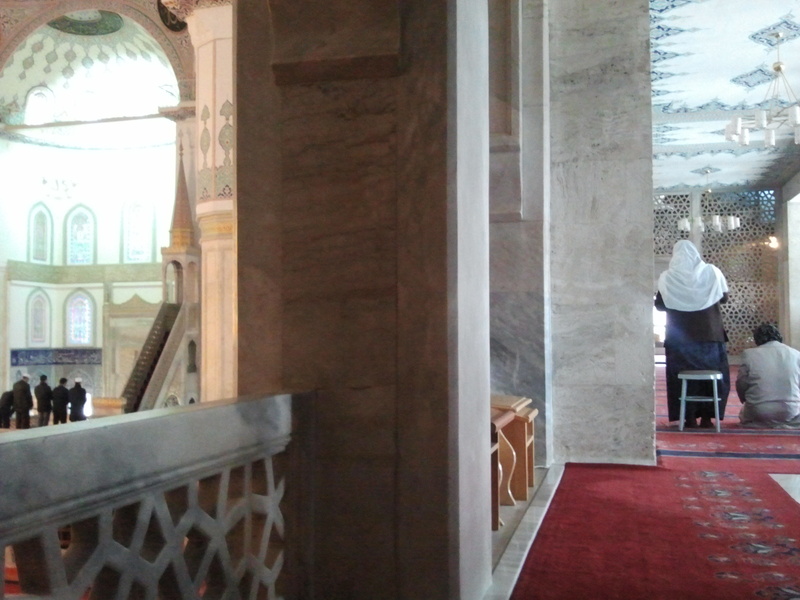 The original mihrab (=prayer niche), a staple in any mosque design, it gives the direction to Mekkah and usually is designed with great acoustics, so that the Imam’s recitation as he leads the prayer from inside, is heard by all the congregation. 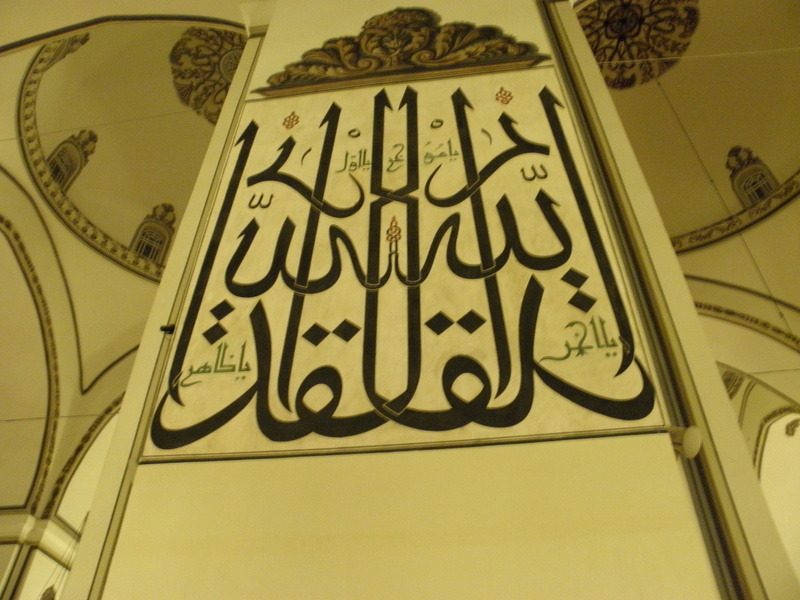 The ayaath above the mihrab are the last lines from Surah Hashr. They are often recited in prayer. The above gives you a size of the structure. 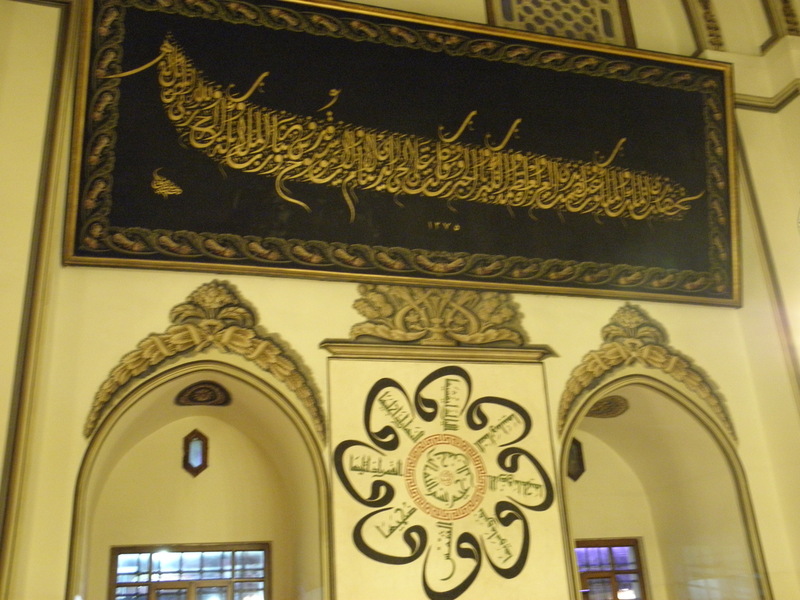 It was huge, at one time the second largest mosque in the Muslim world. I will end by saying how many a great thinker and scholar must have sat and leaned on those pillars, how many rapt-eyed students at his or her feet. The space still seems to carry echoes of their lost voices. 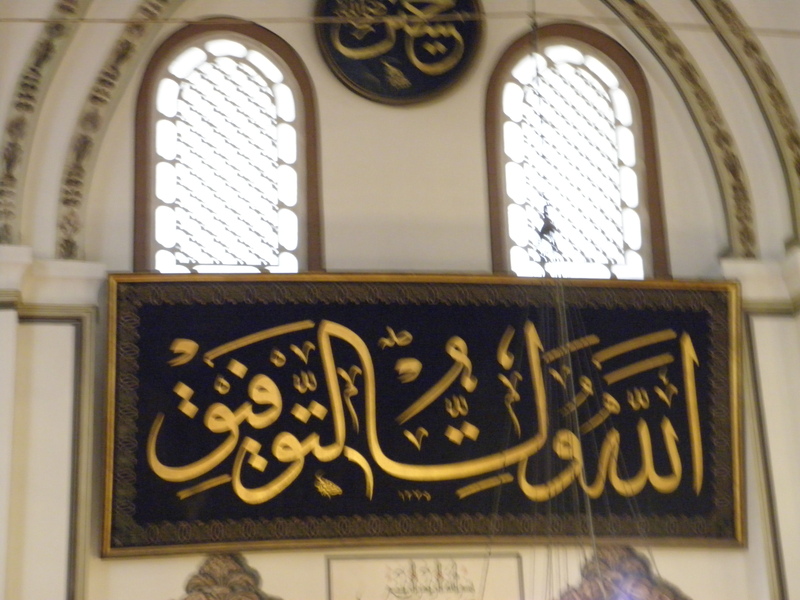 Alhamdulillah (thanks and praise be to God), finally back to posting and continuing with the rihla to Turkey posts. 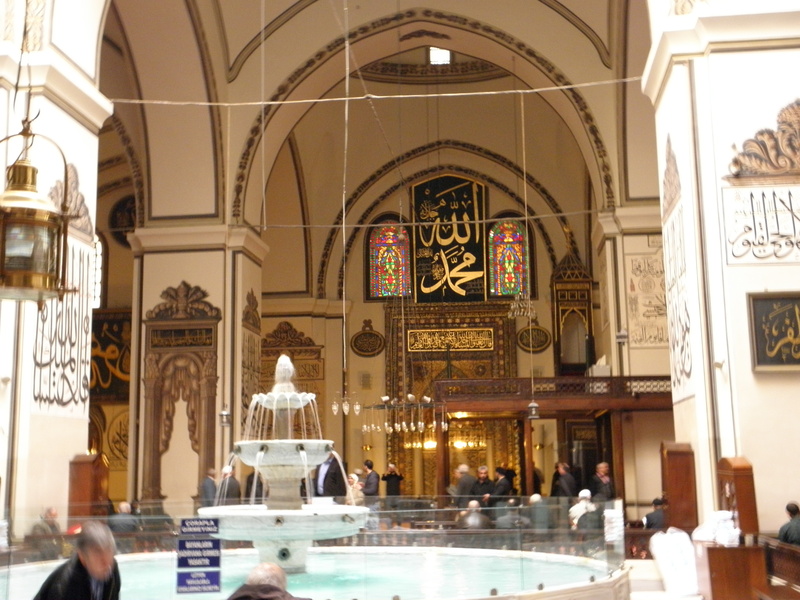 We visited many sites in Istanbul and spent the majority of our time in that great city. What can I say? there is so much to share that I am do not know where to begin. Let me then, begin at the beginning! We arrived in Istanbul on the day of the great Istanbul marathon, I believe over ten thousand runners were on a route that included the Bosphorus bridge, thereby crossing Asia-Europe, which I thought was rather cool. The bottom line was that traffic though was a mess, as this meant one of the two bridges across the Bosphorus was closed to vehicles. 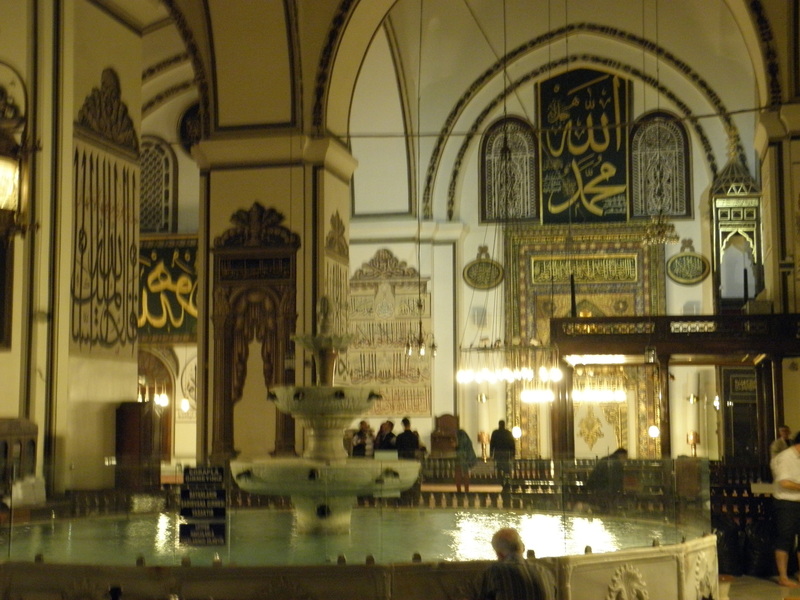 After a short time in our hotel we then headed to the Abu Ayyub al Ansari mosque, or the Ayyup camii as the Turks call it. We did this as good etiquette upon our rihla. The turks call Abu Ayyub al Ansari (radhiallahu ta’ala anhu = may God the most High, be pleased with him) the ‘first Sultan’. Here is a website from Turkey on him. He was a companion of the prophet (peace be upon him) and a man beloved to all Muslims. He was an ‘ansari’ meaning, one of the ‘ansar’ (ansar= helpers). The ansar is the name given to the people of Yathrib, a city north of Medina, that the beloved prophet (peace be upon him) migrated to to escape immense persecution from him own tribe in Mecca and also at the request of the people of that city who pledged allegiance to him and asked him to come and govern it. On his arrival there, the city came to be called ‘Medina’ meaning ‘city’. 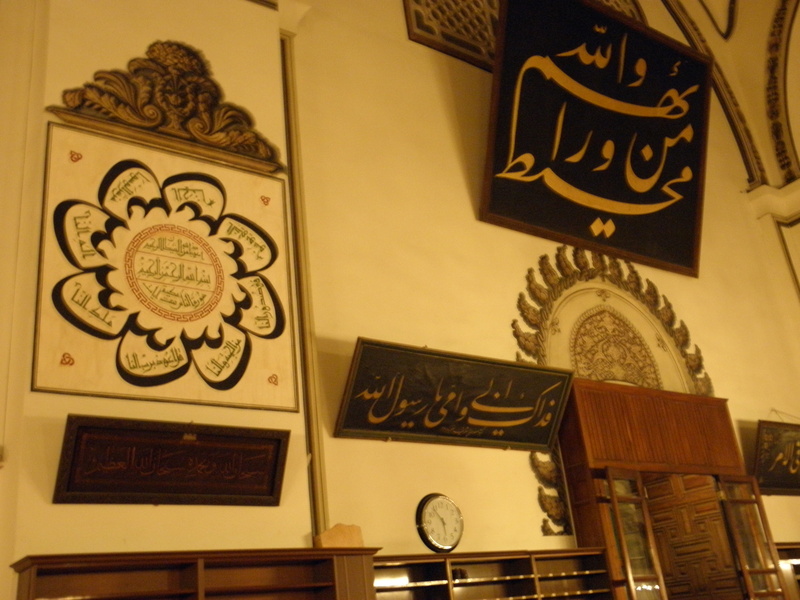 A shortened form of ‘medinatun-nabi’ (=city of the prophet). There is much to relate of this migration, called the ‘hijrah’ which begins the Muslim calander and of the prophet (peace be upon him)’s first actions when he got there, among which was to draft a constitution. To continue, when our beloved messenger (peace be upon him) entered Medina, he stayed at the home of Abu Ayyub al Ansari for several months until his own modest dwelling was built along side a mosque simultaneously constructed. There is a beautiful story about how the site was chosen for the mosque of the prophet (peace be upon him) which exists to this day and is the second most important mosque in the Muslim world (after the Ka’aba in Mecca). It was actually the prophet’s (peace be upon him) camel that chose the site. But this post will be very long were I to relate it. Abu Ayyub al Ansari showed the prophet (peace be upon him) an immense amount of love and respect on having him as his guest. Many stories are told about his honoring of his guest and the prophet’s immense love for him and his family. He lived a long time after the prophet’s death. In his eighties he went on a campaign to what was then constantinopole and died there. Several centuries later when Muhammed al fatih located where he was buried he built a mosque, the first he built in that city. The mosque exists to this day and the locals loving visit there to celebrate marriages, circumcision ceremonies for boys and etc. It was as if they were seeking the blessings of this great man. There was a feeling of peace and serenity in that mosque hard to rival among the other many fabulous mosques in Istanbul. Also one felt the genuine love of the local people for the place, and surrounding it many restaurants, plazas and places for people to hang-out are there, and they are always full. So we began our tour with a traditional etiquette of paying our respects to this beloved soul who did so much for Islam, and who had the honour and blessing of being among the companions of our beloved messenger (peace be upon him). I have no pictures of that place, it was not a place to take pictures in, at least not for me. I will however post below a video I found on youtube, of some brothers who gathered in the mosque, following the ritual prayer or salah, to sing in praise and love of the prophet and his companion. And then out of respect and etiquette, I will post about other aspects of the Istanbul leg of our rihla later on inshaAllah (God willing). May the peace and blessing of God always around you, be closer and closer and ever more apparent to your hearts! My dear readers, Assalamu alaikum (peace be with you)! 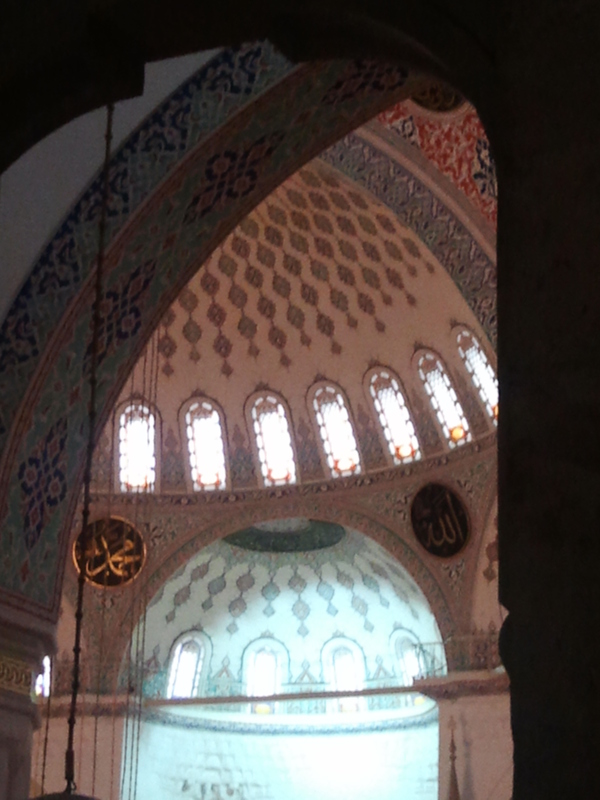 Alhamdulilillah (praise and thanks be to God) I am currently in Turkey. I came here very blessed as part of a spiritual tour with a great scholar of our times. Please follow the link to find out more. InshaAllah more about this tour soon, it has been so full and overflowing in blessings it is hard to condense into one post so I must think about how best to share the ‘barakah’ with you inshaAllah (barakah=blessing, inshaAllah= God willing). I did not know it well, so recited of it what I could. And then sat and thought I’d enjoy the view. Mashaallah (by God’s grace) soon after, the gentleman seated in front of me turned around and spoke to me in understandable English. He inquired what my predicament was, took the written address from me, called a friend to find out about it and then said to wait till his contact got back with directions. Some minutes later his friend called back and he told me he would show me the way. The man had mashaallah a kind face filled with the light of the good-hearted (those of you who know this can recognize it I know) so I was very much at ease. We got off at the same stop, he escorted me to where I needed to board another bus, got me on that, told the driver where to drop me off and only departed after waving goodbye when my bus left. Allah bless this brother and give him all that is good in this world and the hereafter! On getting to know each other I found out that he works for the ministry of Education and is a poet…MashaAllah! So my brother, if you come across this post, please know that I am grateful for your help and pray for you and your family. Alhamdulillah the rest of my journey was good. Except for the fact that I was nearly at one point tearing due to having to sit in a room filled with cigerrette smoke for a good amount of time, not to mention a constant itchy throat due to the smoking everywhere. And on this matter let me say I find it very sad how prevalent smoking is in the Muslim world. Some scholars consider smoking to be haram (= forbidden) while almost all scholars consider it at least makhruh (= discouraged, disliked) so I do not understand how it is so prevalent. For those who do not know, everything in a Muslim’s life falls under a categorization of permissibility, that goes from a spectrum of permissible = ‘halal’ to impermissible=’haram’. This is why often Islam is understood as a way of life rather than a religion. It is sad though, that not all Muslims seem to understand or practice it as such. 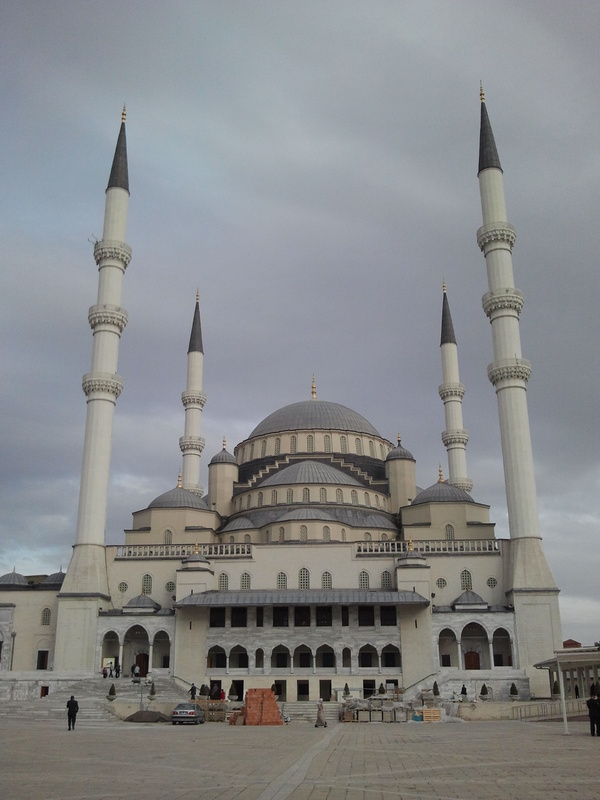 I heard the azan (= call the prayer) and so could locate a mosque within walking distance, it turned out to be the largest mosque in Ankara. So I could join the jama’ah (congregation) for the salah and also rest a while. There was a ‘janaza’ (=funeral) salah when I was there. The second I got to participate in during this journey. Muslims have certain obligations in their lives they must fulfill, some are considered personal (= fard ‘ain) such as the ‘salah’, where each person has to fulfill his/her own of it, and some are communal (=fard kifaya), i.e., where one person fulfilling it ensures the community has fulfilled its obligation. The janaza salah is a communal obligation upon a Muslim who had died. Needless to say, as many of us as can, join this ‘salah’, as it is a communal obligation, and so we may increase the prayers upon the departed soul. This is why the janaza salah is often held right after one of the 5 times a day salaath (plural of salah) in the mosque, so the whole congregation may join it. 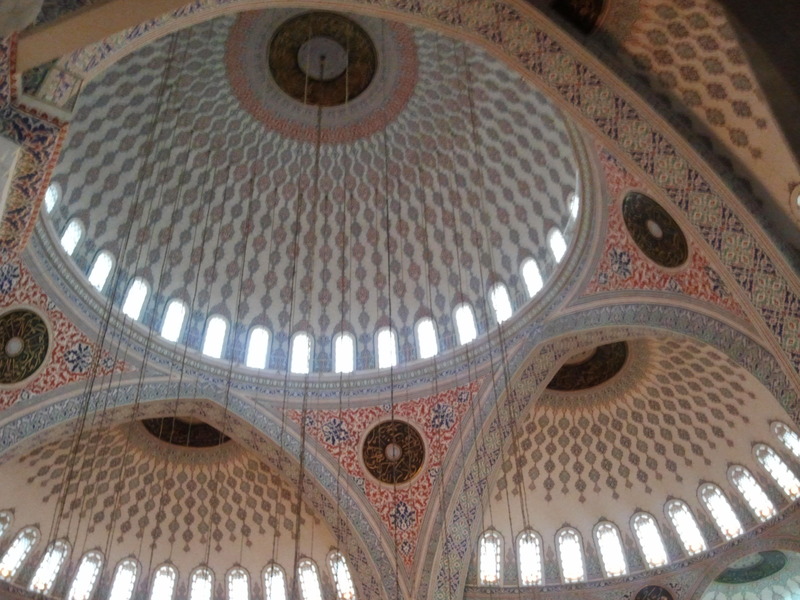 The mosque itself was very beautiful and grand, all the mosques (in arabic, ‘masajid’) are amazing in this country. InshaAllah I wil follow with posts about the mosques later on. 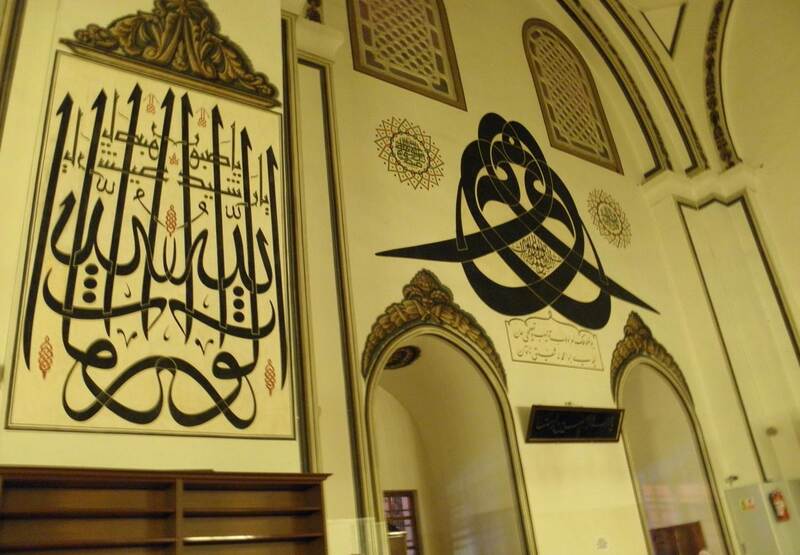 The caligraphy and feeling of space and reverence is very beautiful and restful. Some pictures are below. To end, a sight that touched my heart and gave me a sense of strong hope. There are sadly many children who beg on the streets here. And there are children who work for a living on the streets. This is a topic that deserves a post on its own, so I won’t say more now. 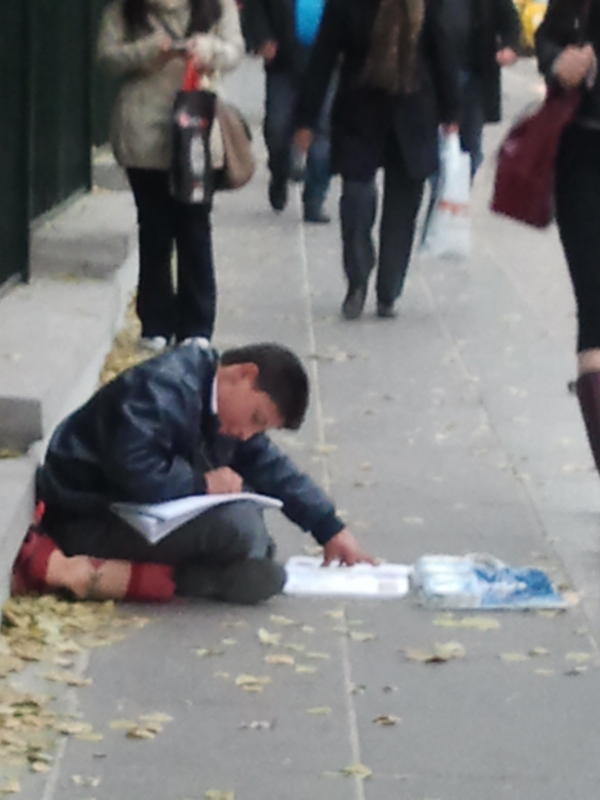 But the picture below is of a boy I saw, may Allah increase him, bless him, protect him and grant him a glorious future in this world and the hereafter, who was busy doing his homework while in front of him he was selling little packets of tissue. I did not specifically get permission to post the picture, but as it is blurry I do not think it it wrong of me to do so. He was very diligent, hardly looking up but all his customers were faithful to give him the right amount of money for his wares or so for as long as I witnessed this it was what I saw. I felt very proud, humbled and a great rush of love and delight looking upon this determined young man and so I ask you my dear readers to also send your prayers upon him. May Allah grant this country and its people a great and peaceful future. Alhamdulillah (thanks and praise to God), I’ve had a lovely few day. First due to an amazing camping trip to a small island off the coast of Vancouver. I was touched and deeply humbled by the concern of my non-Muslim camping buddies that I keep my prayer on time…and I must say, there is no feeling as beautiful as standing under the trees on the grass close to the ocean in the state of ‘salat’ (the Muslim ritual worship, it is a physical ritual with meditative quranic recitation and repetitive praise of God made by the tongue or in the heart). Alhamdulillah! a deep peace and glimpse of utter serenity. Especially to wake up with the first light at about 4 am (impossible to sleep with sunlight streaming through a tent!) and be fully woken taking the ‘wudhu’ (ritual purification with water, the best translation of the word in to English is ‘lumination’, from the greek ‘lumos’, meaning to make light) with freezing cold crystal clear water and then to stand on a rock by the ocean and enter the salah. Mashaallah (by God’s grace) the weather was amazing, and the sunrise a beautiful pink and red. 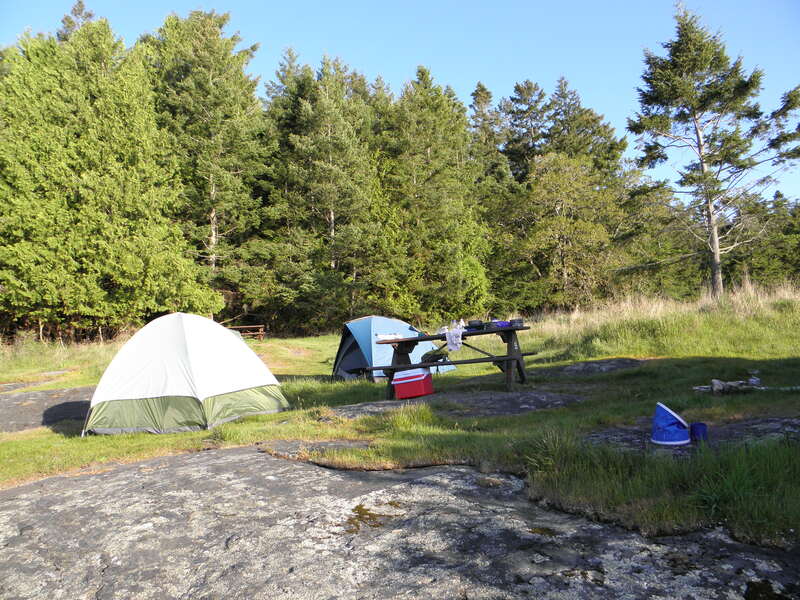 I wish I had taken pictures, but I did not want to wake my sleeping camping buddies…and perhaps it is that some images are better preserved in the heart. Having said that, I thank you my dear reader, for listening as I type out this verbal imagery, for indeed it stamps the memory on my heart and for that I am grateful. There is much more I want to write and share, but enough of words from me for now. Let me leave you with a ‘du’a’ (this is more like what the English word ‘prayer’ means, it is supplication made to God) that was found some days ago recorded on the back page of an old notebook I had used when learning sacred knowledge. I do not know where it is from, but it is beautiful, wise, and universal. So I hope you benefit from it. O Lord, please help me to say the truth in front of those who have authority. And please help me not to say that which is false in order to gain advantage. And please help me to see the other side of reality. And please protect me from bearing false witness due to difference of opinion. O Lord if you give me money, do not take my money. If you give me health please don’t take my sanity. If you give me success don’t take my humility. If you give me humility don’t take my dignity. O Lord, please teach me to love others as I love myself. And teach me to question myself as I question others. And please teach me how to forgive. Because the ability to forgive is the greatest of qualities. And because revenge is a major sign of weakness and regression. Please O Lord, protect me from arrogance upon my success. And protect me from despair upon my failure. O Lord, please remind me that failure preceeds success. O Lord if you do not give me success, please leave me determination to overcome failure. O Lord if you do not give me health, leave me my faith. O Lord, if I hurt others please give me the ability to apologize and if others hurt me, give me the ability to forgive. O Lord, if I forget Thee, don’t forget me as You are the Forgiving (al-Ghafur), the Clement (al-Halim), the Great (al-Kabir), Dominant and Able to do all things (al-Qadir). 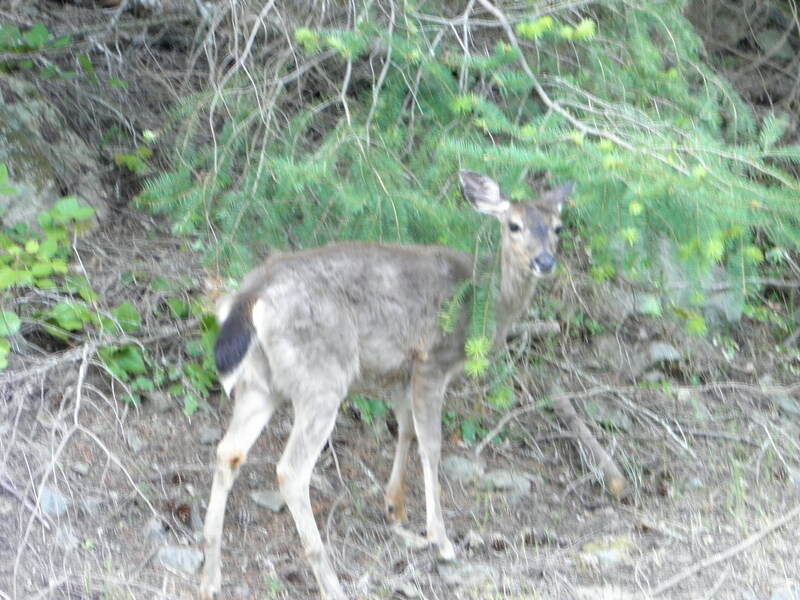 – Deer everywhere on the island…I was very happy with that! -pretty island farmhouse. 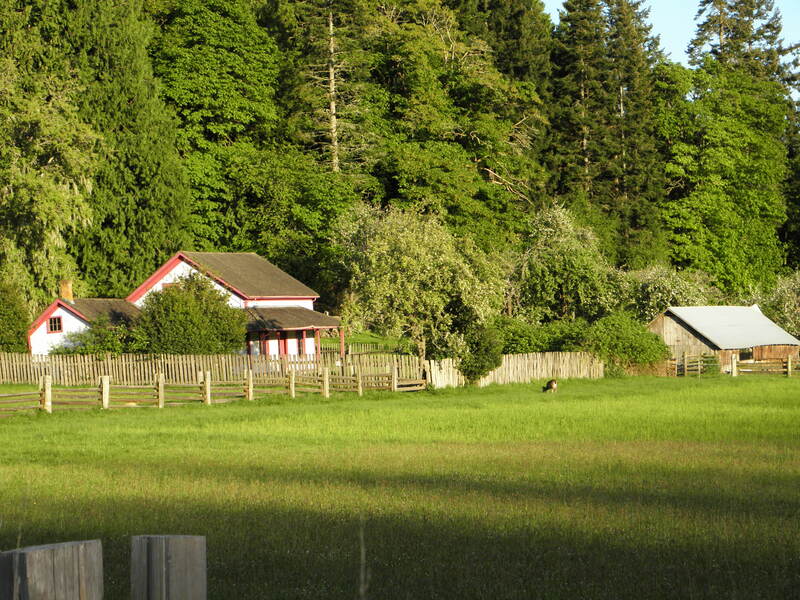 Idyllic and the best part is it is a functioning farm. The family that owns it, gifted much land to make a park for Canada! 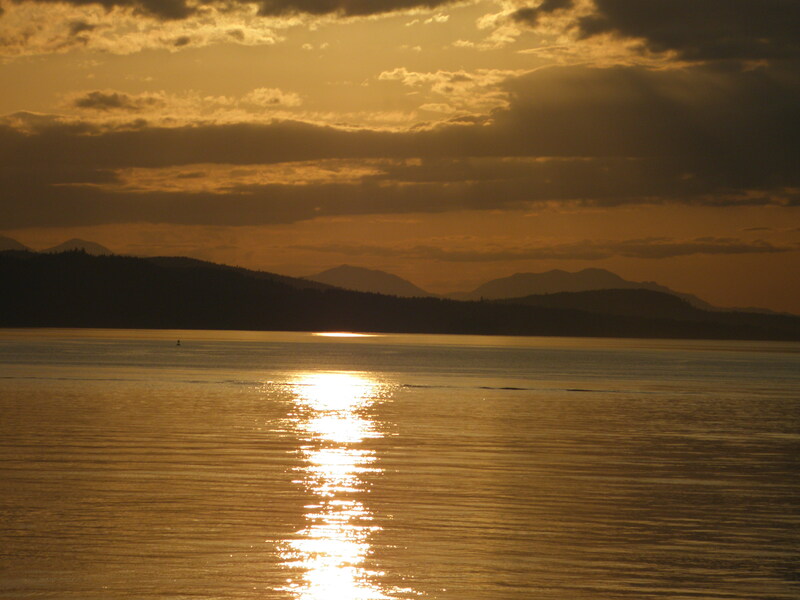 – golden sunset on my way home. MashaAllahu ta’ala! !